The Top Pharma List's top 50 pharmaceutical products by global sales ranking is compiled from GlobalData's pharmaceutical revenue figures. Humira was produced by AbbVie and Eisai. In FINCH 1, selective JAK1 inhibitor filgotinib was compared to AbbVie’s $18bn-a-year TNF antibody Humira (adalimumab) or placebo – given on top of generic disease-modifying antirheumatic drug (DMARD) ... of Humira which is given by injection. 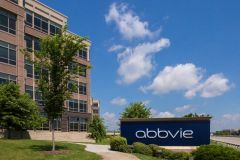 The company’s phase 3 study (NCT03412747) is a three-arm study of bimekizumab, Humira and placebo, with data expected in the first half of 2019.